Back in 2004, you would’ve got long odds on Pete Doherty living to the following Christmas, never mind making a third album with the Libertines. Adrift on a sea of mistrust, petty crime and intravenous drugs, the singer-guitarist seemed doomed. 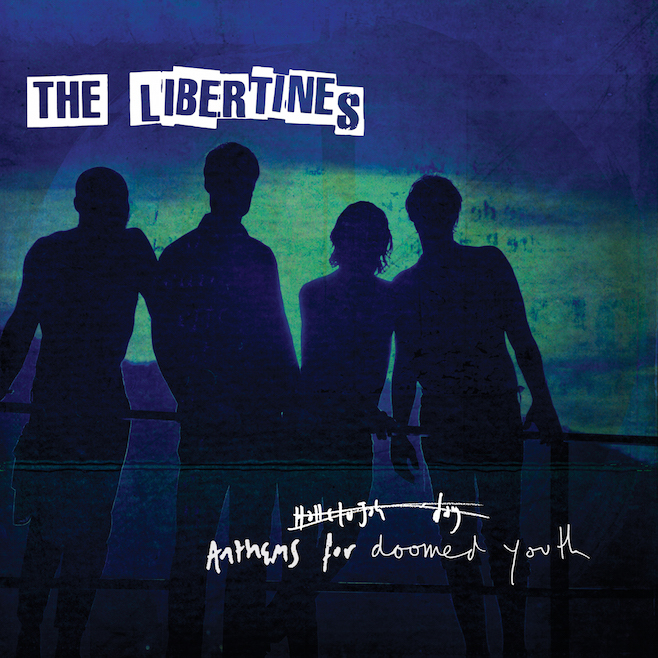 How pleasantly surprising is it that eleven years later, the Libertines’ full line-up is back with a new album, but is there still a place for a band who once were the doomed youth, but now only write songs for them? The answer is yes, if only to allow the dual songwriting skills of Doherty and Carl Barât to flourish once more. The duo are equally adept at referencing Wilfred Owen and Rudyard Kipling as they are telling tales of crawling the streets of Camden Town or trying to “find a vein”. Much of the edge present on their earlier records is inevitably blunted, but danger’s loss is songcraft’s gain, and a less frantic approach to their work makes sense for a bunch of guys approaching forty. Opener ‘Barbarian’ is misleading as it could fit perfectly into either of the first two albums, while slower tracks ‘You’re My Waterloo’ and ‘The Milkmans Horse’ provide introspective moments, and the garage reggae of single ‘Gunga Din’ shows the band still owes much of its sound to the Clash. Anyone looking for an anthem as glorious as ‘Don’t Look Back into the Sun’ will be disappointed, but maybe it’s unfair to compare the Libertines of 2015 to the 2004 version. Perhaps we should be grateful this album exists at all. Or should that be astonished?